This is a nice surprise, it's set in the future, and follows a guy with Navy Seal training, who is now part of an elite military group whose job is to protect the Pope. 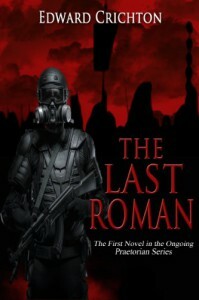 While on an op they come across a weird artifact, and during the middle of a firefight this artifact transports them through time to ancient Rome. Now I can't wait to see what happens next!